Hello Again ! Viewers and Friends I hope You Are All Good. Today I am Here With a New And Very Burning Issue Witch is Very Useful For Those People Who Really Want To Make Some Real Money Online. So Lets Start With a Brief Explanation About How To Make Money Online. As We Know That There are Lots of People out There Working Online In Different Fields Just Like Blogging, YouTube, Trading , Affiliate Marketing, Buy & Sell And Lots of Other Ways. I have a Post About How To Make Money Online -2019 You Can Check. 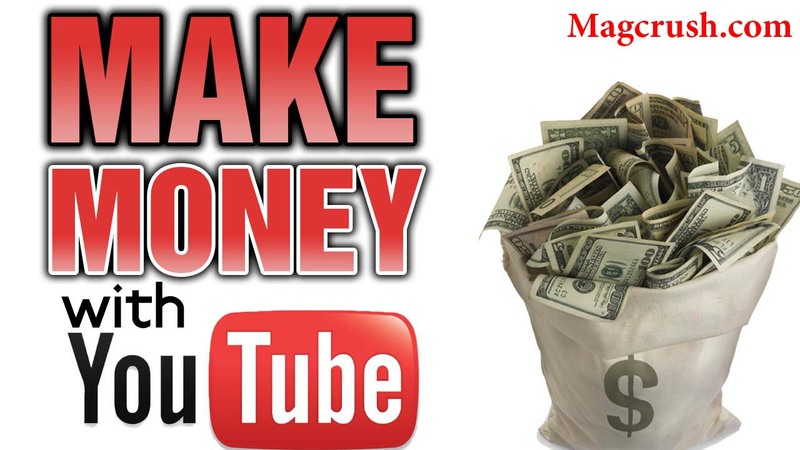 Now I am Going To Discus How You Can Make Money Online While Creating a YouTube Channel. After Creating Your Channel A New Page Will Open Where You See Customized Your Channel As You Like.You Can Add Channel Art And Channel Logo Related To Your Channel. After These Steps You Can Add/ Upload Videos To Your Channel, For This You Have To Click on Upload Button Witch is Available Above Right Corner on Your Screen. Now The Hardest Step Is Going To Start For Making Money Online With Your Videos. So There Is A YouTube Policy Witch Tells You How And When You Can Start Making Money From Your Channel The Link Of Policy Given Below You Can Carefully Read This Before Uploading Videos. 1000 Subscribers On Your Channel. 4000 Hours Watch Time Of Your Channel Videos. 4000 Hours Means 240000 minutes Watch Time. After This YouTube Will Verify Your Channel For Monetization and You Start Making Money Online. But Before This You Have To Sign Up Google Adsesne Account For Making Money And Link Your YouTube Channel. You Have To Sign Up With The Same Email Witch is Used For Creating YouTube Channel.That's All Its Seems Difficult But Actually Its Not. I hope You Will Understand Slowly Slowly When You Start Whole This Procedure. Thanks For Visiting. Stay With us, We Will Be Back With More Entertainment Topics For You.